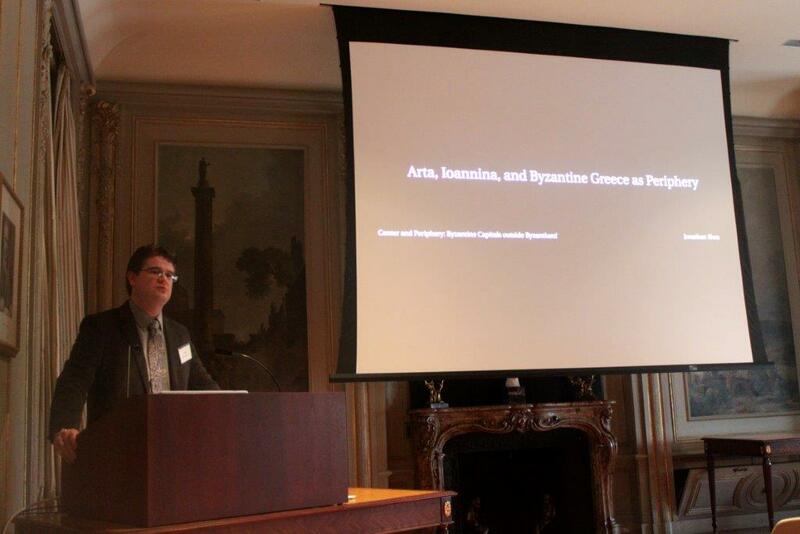 In the spring semesters of 2011, 2012, and 2013, the Teaching Fellows in Byzantine Studies at Dumbarton Oaks have held day-conferences attended by students from Georgetown University, George Washington University, and the Catholic University of America. 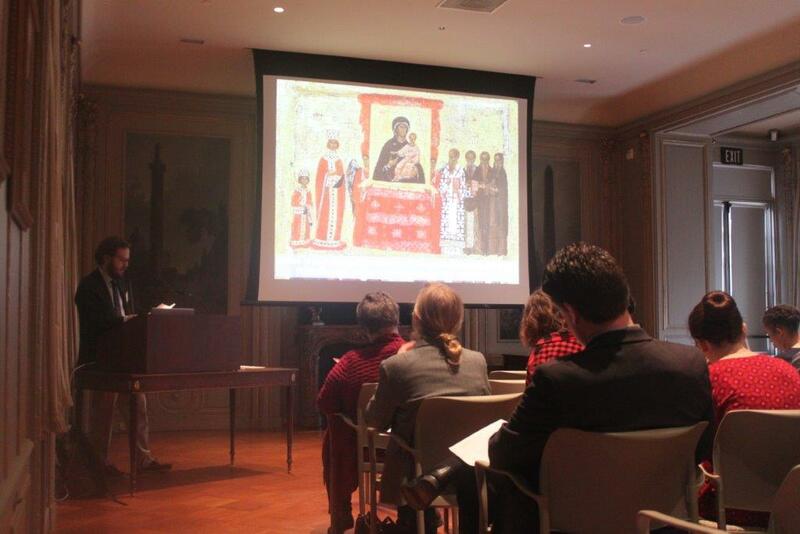 The first Teaching Fellows’ Day in 2011 focused on the image and concept of the Cross, in conjunction with the “Cross References” exhibition in the Dumbarton Oaks Museum. The second Day in 2012 considered early Byzantium as an age of transition, as opposed to the traditional “Dark Ages” label, while coinciding with the Metropolitan Museum’s exhibit on “Byzantium and Islam: Age of Transition.” The Day in 2013 was centered on two of the unique collections at Dumbarton Oaks, the Byzantine lead seal and coin collections, each of which are largest in the world for their respective materials. The goal in 2013 was to explain Byzantine coins and seals as objects—what they are and how they were made—and to demonstrate how they contribute to our understanding of Byzantine civilization through the study of art history, prosopography, archaeology, and literature. 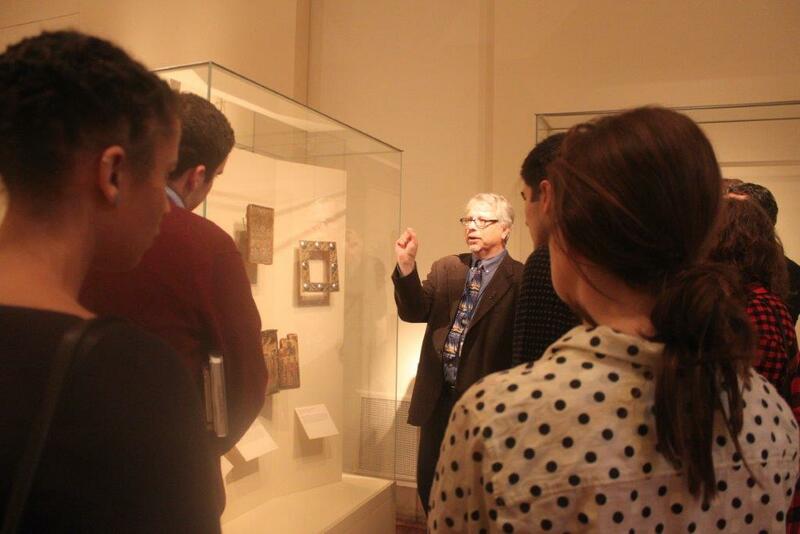 This spring’s Teaching Fellows’ Day attempted to complement the recent exhibition at the National Gallery of Art, “Heaven and Earth: Art of Byzantium from Greek Collections”. Rather than doing a Day conference on Byzantine Greece per se, we focused on political, religious, and intellectual centers of Byzantine Culture—including Byzantine Greece as one of these—outside of the imperial center of Constantinople. 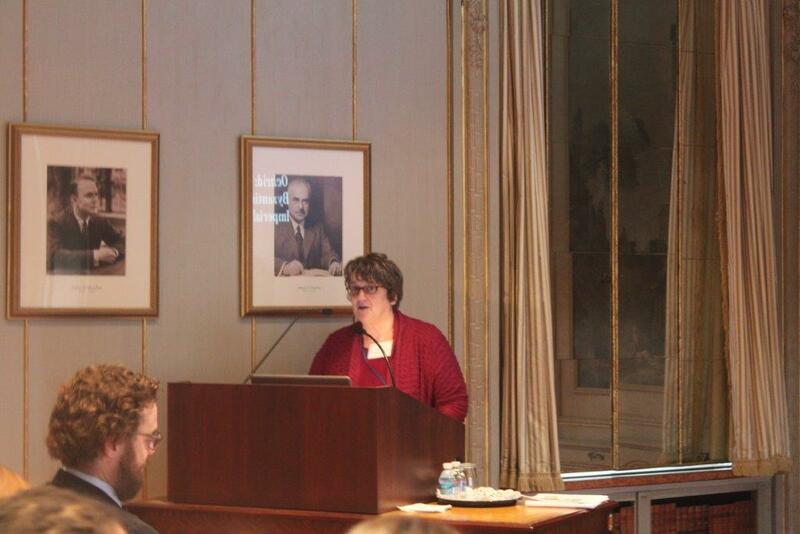 This further complemented the courses we are offering at Georgetown and George Washington. At Georgetown, Dr. Scott Johnson is teaching a course entitled “Procopius and Justinian,” which considers the historiographical basis for understanding Justinian’s imperial activities, including the embellishment of imperial capitals throughout the Mediterranean. 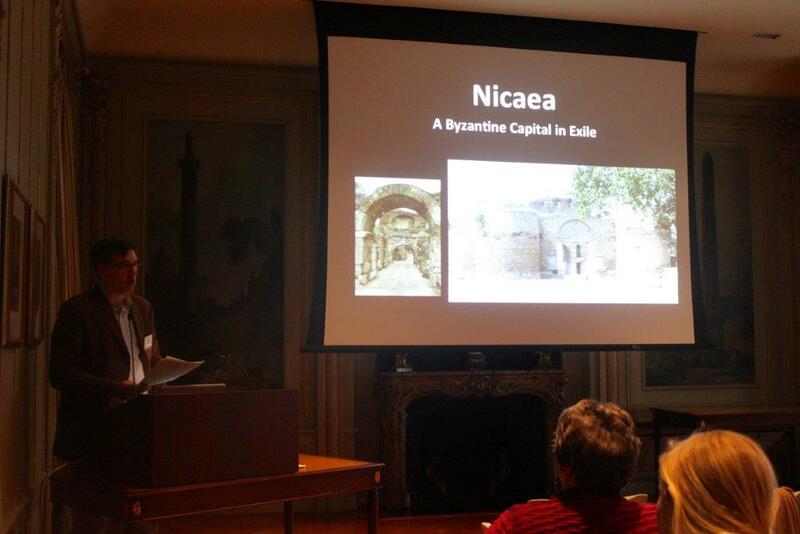 At George Washington, Dr. Jonathan Shea is teaching “Polis, Civitas, and Madina: Cities in the Medieval Mediterranean,” a course focused on urban developments and urban society in the Byzantine and Islamic world.